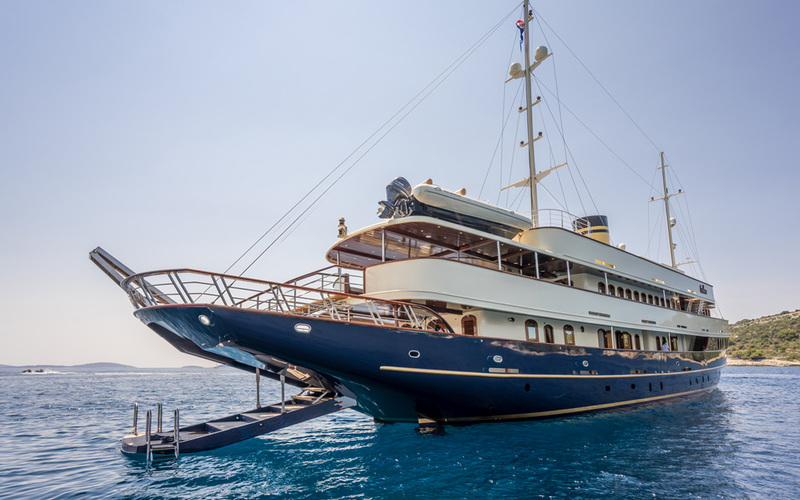 An intimate setting with Robert Schoch, Ph.D. whilst cruising the stunning Adriatic, the jewel of the Mediterranean. This journey includes special guided tours to megaliths, museums, Tesla’s birth place and a visit to Tesla’s Hydroelectric Power Plant at Krka waterfalls. In addition to formal lectures, there’s plenty of time for casual discussions and ‘one-on-one’ learning with this influential legend from the world of ancient mysteries. <h4>Day One: Trogir</h4> <p>Check in at 1:00 PM in Trogir, City Harbor. Meet and greet, welcome drink & light snack. After settling in cabins, departure around 2:30 PM toward Zlarin. Arrival to Zlarin around 5pm – free time for sightseeing. Lecture after dinner. </p> <h4>Day Two: Zlarin</h4> <p>After breakfast departure for the panoramic cruise through National Park Kornati and Nature Park Telašcica. Upon the arrival, free time for swimming in the nearby bays and beaches. Lunch & dinner on board. Overnight in the village Sali on island Dugi Otok. </p> <h4>Day Three: Sali</h4> <p>After breakfast visit to mysterious town Asseria, one of the largest and most preserved megalithic sites in Europe!<br /> More than one researcher remarked that the monumental walls are reminiscent of the walls of Jericho. The mainline history books say it is a Roman and Liburnian settlement, but there is hardly an official historic context to fit such a monumental town. On this magnificent site we will be able to trace multiple layers of ancient history through observing distinctive building styles: from ancient Phoenician, Liburnian and Roman to post-Roman, and try to reconstruct a plausible context for this archaeological wonder. Overnight in Zadar. </p> <h4>Day Five: Vodice</h4> <p>After breakfast we leave for Skradin and visit Krka National Park. Visit to Tesla’s birth place and Museum. We will also stop to see a sepulchral stone which we usually call – the totem. In the Sonković village near Skradin there is a strange monument, probably also a sepulchral stone, but standing upright like no other. We will explore the symbolism of its ornamentations. Overnight in Šibenik. </p> <h4>Day Six: Skradin</h4> <p>After breakfast we sail towards Primošten. Stop for a swim in a bay on island Ugljan. On our journey we will visit an ancient megalithic wall near Žirje, dated at least to 6th century BC that the folk tradition calls Teuta’s Palace. (Teuta was an Illyrian queen and the charismatic arch enemy of the Romans.) Above this wall there are remains of a hillfort from the Justinian times and, above all, a medieval fortification. Again, a wonderful place to observe multiple layers of history and spot its retrograde movement. Also, Near Primošten, in a village called Grebaštica, we can see another ancient necropolis and the continuity of the use of the sacral sites in Dalmatia. </p> <h4>Day Seven: Primošten</h4> <p>After breakfast on board we depart for island Brac, we stop for a swim in famous bay.. Brač is one of the most interesting islands in the Adriatic and a wonderful source of ancient wonders. We will see the Dragon’s Cave, still inexplicable shrine with beautifully stone – carved monuments of esoteric Christianity. Also visit to town of Škrip is the oldest settlement on Brač by tradition and, also by tradition, the birth place of Saint Hellen, Diocletian’s concubine and Constantine’s mother. Here we will be able to see an ancient megalithic wall predating Rome and an unusual megalithic tomb in a tower, from the Roman times in which, by tradition, Diocletian’s wife and daughter were buried. After dinner we sail back to Trogir and over nite in Trogir. </p> <h4>Day Eight: Trogir</h4> <p>Disembarkation at 9:00 AM City Port Trogir. The Casablanca will be your home for the duration of this cruise. Cabins come with one double bed, two twin beds or triple beds with air-conditioning, plasma TV, free wireless internet, working tables, safety deposit box, night lamps, wooden wall boards, chair, electricity supply, sanitary facilities, mini bar, toilet and shower. Robert M. Schoch, Ph.D., a full-time faculty member at Boston University since 1984, earned his Ph.D. (1983) in geology and geophysics at Yale University. 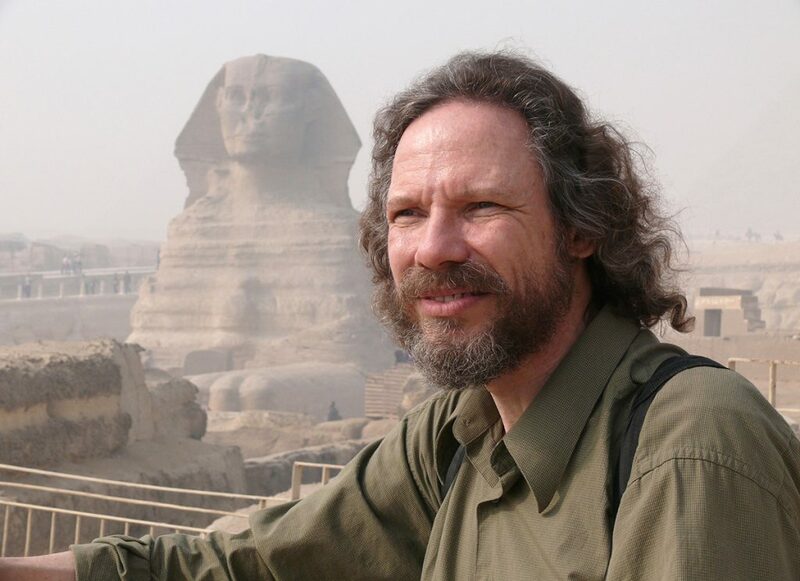 In the early 1990s, Schoch stunned the world with his geological analysis of the Great Sphinx of Egypt, demonstrating that the monument, as well as the walls of its enclosure, bears the scars of extreme water weathering and erosion. As Egypt has known hyperarid climactic conditions for the past five millennia, Schoch concluded the monument traces its origins to an earlier (pre-Sahara) epoch and a previously unidentified civilization, thus throwing a major monkey wrench into the orthodox view of the rise of civilization.